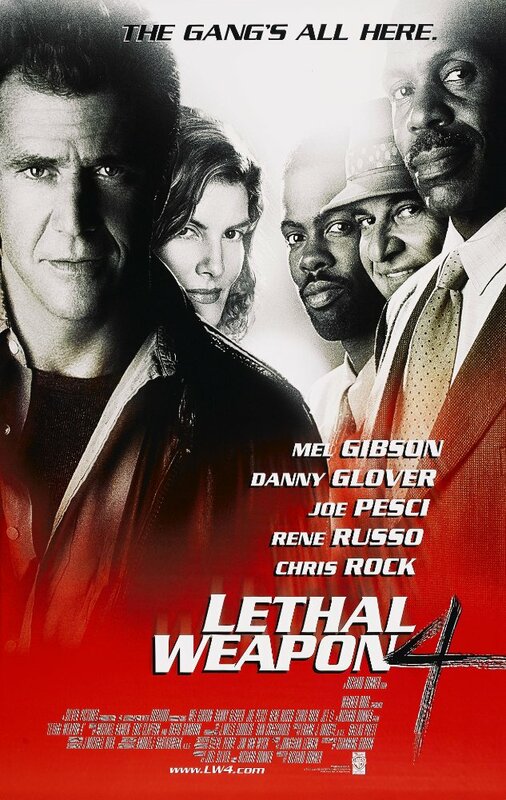 Synopsis – Lethal Weapon is an American buddy cop action comedy franchise created by Shane Black, that focuses on two Los Angeles Police Department (LAPD) detectives, straight laced Martin Riggs (Glover) and loose cannon Roger Murtaugh (Gibson). Roger Murtaugh is an aging family man and sensible veteran police officer just trying to make it through the day unscathed. 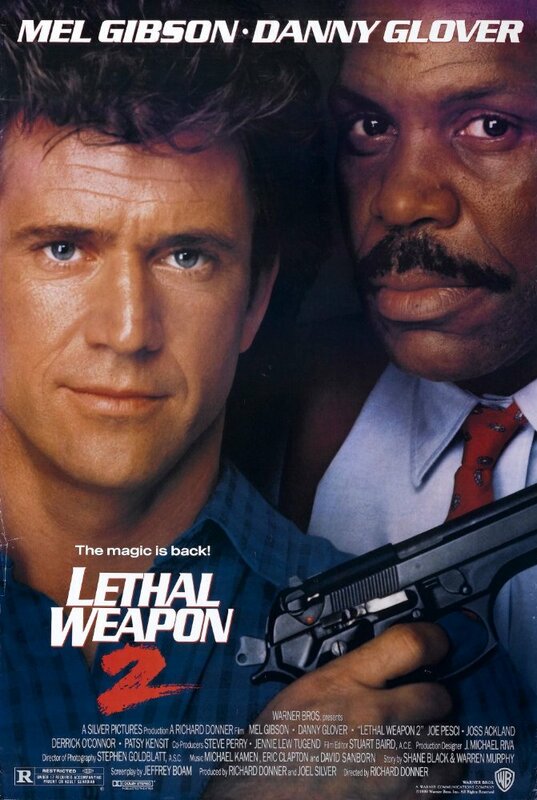 Martin Riggs is a suicidal loose cannon cop who doesn’t care if he even lives to see the end of the day. Reluctantly thrown together to solve the mysterious murder of a banker’s daughter, the unlikely duo uncovers a dangerous ring of drug smugglers employing ex-military mercenaries. After a tragic turn of events, the mission becomes personal and the mismatched investigators must learn to trust one another as they wage a two-man war against a deadly criminal organisation. 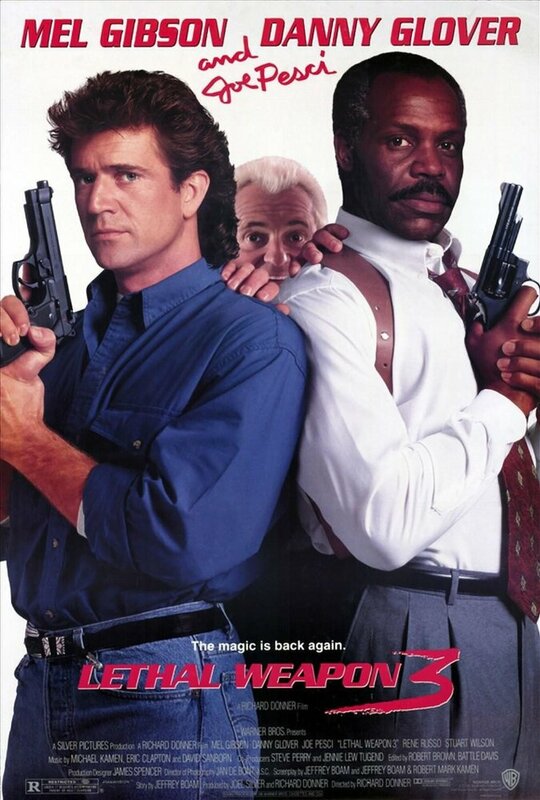 Soon after finding one million dollars worth of South African Krugerrands in a crashed red BMW after a chase, Riggs and Murtaugh are assigned to keep an eye on Leo Getz, a witness who is scheduled to testify in a case. A group of drug smugglers led by Arjen Rudd, the minister of diplomatic affairs for the South African consulate will stop at nothing to ensure Leo doesn’t testifyi. Riggs and Murtaugh do not appear adept a protective custody when Leo is kidnapped by Rudd’s right hand man Pieter Vorstedt and Riggs fallf for Rudd’s secretary Rika Van Den Haas. Martin Riggs finally meets his match in the form of Lorna Cole, a beautiful but tough policewoman. Together with his partner Roger Murtaugh, the three attempt to expose a crooked former policeman and his huge arms racket. The crooked cop (Jack Travis) thwarts them at every turn by killing anyone who is about to talk, but Murtaugh has personal problems of his own as his family are brought into the equation. When he kills a gangster called Darrell, who turns out to be the best friend of his son, a guilt ridden Murtaugh realises that they must go after Travis, the man who supplied Darrell’s gun in the first place. Riggs and Murtaugh, each now feeling too old to be doing what they’re doing, try to stop the Chinese Triads from carrying out their illegal business in the U.S. Uncle Benny, Chinatown’s mob boss, has imported Chinese slaves to pay for an artist to create counterfeit Chinese currency which the Triads (led by Jet Li) will use to buy the Four Fathers (heads of the Triads) back from the Chinese military. To add more chaos to the story Chris Rock joins the team as a new cop (who has secretly married Murtagh’s daughter Rianne) and Riggs’ girlfriend Lorna is pregnant. Leo Getz is also back on the scene, now as a private investigator! 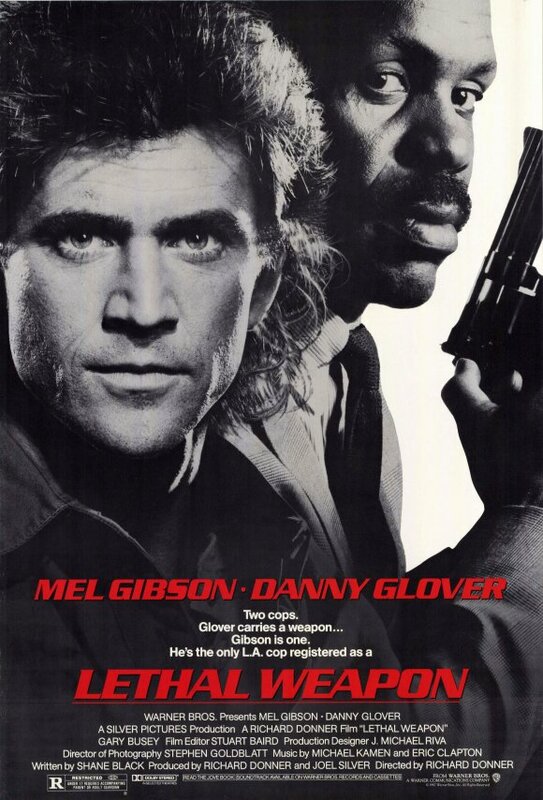 Lethal Weapon won’t (and shouldn’t) win any prizes for taut and intelligent narrative, but it does provide exactly what it sets out to. A solid and consistent series of high tempo action thrillers that delivers as much humour as it does explosions. 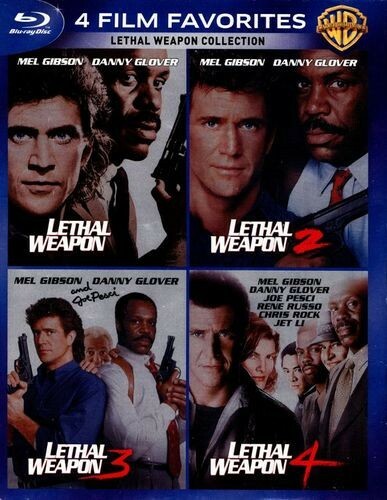 If you can ignore Gibson’s later indiscretions and are happy to accept some ludicrous situations then you will be rewarded with a quadrilogy of action flicks that have stood the test of time well. You will also be treated to some of the best explosions in action movie history.